As we end the series that was based on the wonderful book by Susanna Clark, we see the action pick up pace. After the altercations between Norrell and Strange over Strange’s book, we find that the Gentleman (the faerie Norrell unleashed) is causing chaos of his own. Strange explores the limits of his power and encounters the Gentlemen in his homeworld (Lost Hope), which infuriates the faerie. Strange is cursed by the Gentleman and is returned to our world but anywhere he goes a whirlwind of shadow follows that is slowly draining Strange’s life. Meanwhile, Lady Pole is able to communicate the she and Mrs. Strange have been held captive by the faerie, so Strange seeks out the only friend he can turn to for help: Mr. Norrell. The men put their bickering aside in the hopes of calling on the Raven King to come and dispatch the faerie and set things right but it doesn’t go as planned. They give pretty much the total of English Magic to a man that has been a side character during the series, a butler that works for Sir Walter Pole named Stephen Black. Stephen is taken to the faerie’s world because the Gentleman has taken a liking to him and because of a series of events, the Gentleman thinks Stephen is dying. Strange and Norrell follow, only to find out that Stephen, now filled with the power of English Magic is able to set Mrs. Strange free and kill the Gentleman. 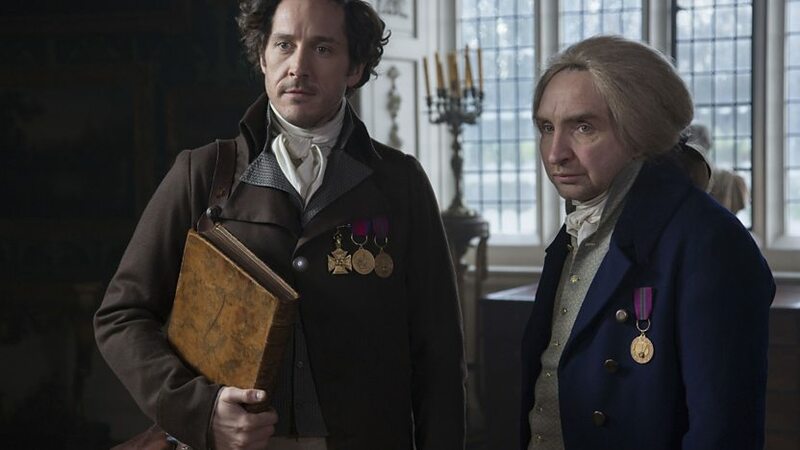 While most wrongs are set right, Strange and Norrell are trapped within the spell, possibly at the will of the Raven King, but the show ends in a hopeful note as there is a new message from the Raven King to be discovered and Strange gives his wife hope that perhaps he can one day rejoin her. Again, I enjoyed this series a great deal and think that anyone who loves a good tale with magic will too. I don’t know if a sequel of the show or the book is going to come but I would happily accept any return to this world we might be offered.